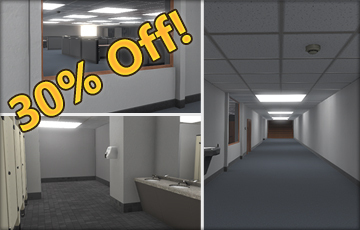 The Office Mega Kit is now 30% off through July 6th. Celebrate the 4th of July with a content pack containing over 250 prefab parts. 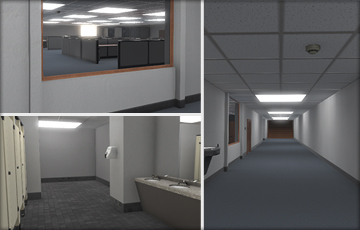 The Office Mega Kit has been updated to version 1.2. This is a minor update which adds a new hallway piece. The new piece is a Hallway 3-Way piece with a doorway so that a room can be placed at the end of a hallway with a t-junction. Available now on the Unity Asset Store. 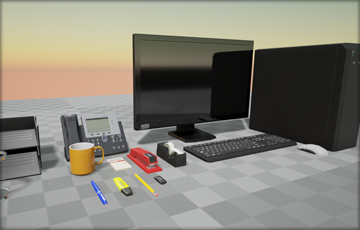 A collection of 16 high detailed low poly prop models for cluttering up your virtual desk or office. 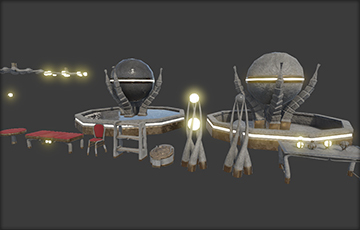 Collection of 17 high detailed Unity prefab assets for your next fantasy environment. All prefabs setup with colliders and light map UVs. Includes 2 custom water shaders for surface water flow and simple water for the fountain.